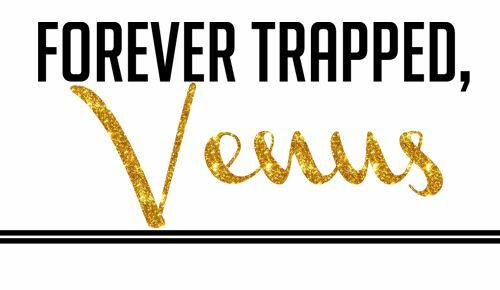 Hey hey hey Venus Trapped in Mars readers (please say that in a Fat Albert voice). If you don't know who Fat Albert is, who are you??? I'm Carly from The Pinot Project. When Sarah mentioned doing a drinking game for our guest posts this month, I was intrigued...and also coming up with nothing. See, like Jackie wrote, I am old (as balls, explained in this post) and I'm not exactly partaking in many drinking games these days. HOWEVER, I did play a drinking game or two in my college years. Mostly your old stand-bys, beer pong, flip cup, quarters, etc. I'm not going to write about those today because I think everyone knows how to play those. Nope, today I'm going to tell you about a game that my roommates and I made up. It has a super original and unique name too: Drinking Jeopardy. you don't answer a question or when you are not the first person to yell out the answer. a contestant tells a cheesy story to Alex after the first commercial break. there is a "potpourri" question (no real justification or this. We all just thought that potpourri was a stupid category and never really figured out what the heck it was). you answer a question but get it wrong. Alex uses a bad accent to read a questions. 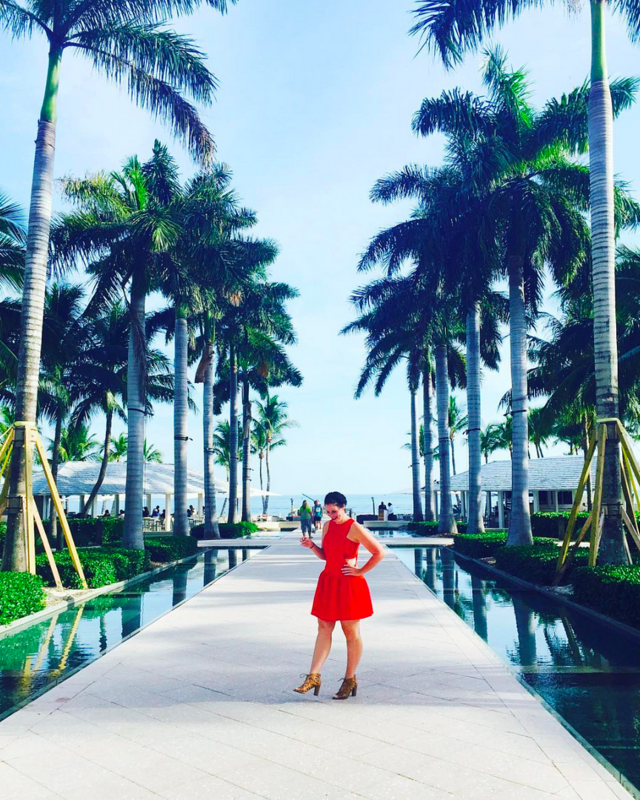 Now, head over to my blog, The Pinot Project, and say hello. You'll find a lot of lists and things that annoy me, as well as cute pictures of my dogs. Who wouldn't want to read that?!?!? No one, that's who. Oh I love Jeopardy! This looks fun!! So, can I be ON Jeopardy and y'all drink whenever I do any of these things? I'll make sure I do all of them a lot. this seems fun! I watch Jeopardy all the time. I think that if you get an answer right you get to choose someone to drink. Crap. I'd be tipsy by the first commercial break! yes. drinking games for the win!! I love jeopardy! I'm even surprisingly good at it, sometimes. 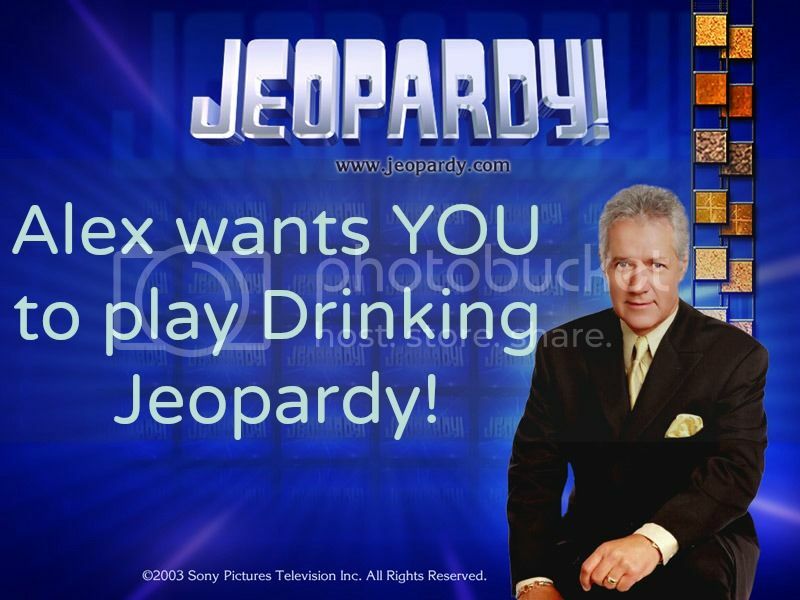 I am ashamed to admit I have never played drunk jeopardy. It may be because I am obsessed with the show and get super competitive...whatever the case I need to give this a shot. ooooh this is a good one! ha love this (and old ladies unite!) i haven't watched jeopardy in awhile but the weird stories that people choose to tell always crack me up. i'm only semi-good at the easy questions so i'd be wasted by the end of the show. Oh, me and the fella might be stealing this drinking game. We love us some cheesy Jeopardy! I can't wait to play! I am going to be WASTED! I am terrible at jeopardy. Woohoo! haha, this is awesome. In the last year or so I've aged like 50 years so this is perfect - I can get drunk & still be in bed by 10! Drinking Jeopardy = pure gold. I want to play this right now. This just so reminds me of my HS government teacher who would always make Jeopardy games based on the material and insist we call him Alex when answering or we didn't get credit.